Digital Subscriptions > Gay Times > July 2018 > THE UK: THE PIG AT COMBE. THE UK: THE PIG AT COMBE. A country restaurant, rammed on a Wednesday, run as slick as a greased weasel thanks to a phalanx of young people in flannel shirts, jeans, Converse and butchers’ aprons. 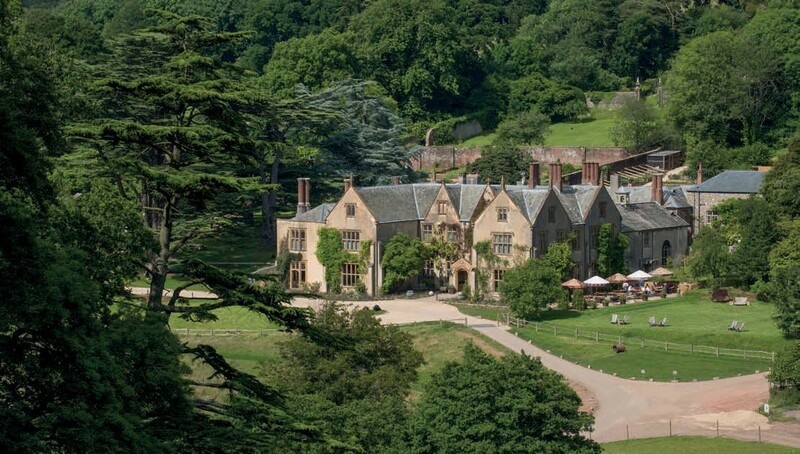 The Pig at Combe, near Exeter, is a country house hotel where you can choose to stay up here at the Elizabethan manor, in a converted stable round the back or down there, a two-minute Land Rover ride across the 3,500 acre estate, in a full-scale cottage. Nyle DiMarco is an outspoken activist, actor and model who lives at the intersection of his sexual fluidity and deafness. In our cover shoot with Nyle, artist Cacho Falcon has painted ‘I love you’ in American Sign Language across his body in what we hope to be a strong message of support to the queer deaf community. With nearly 8 million followers on YouTube, and close to 7 million in Twitter and Instagram, Tyler Oakley has become a pioneer of the new wave of social media celebrities, with a global reach that in many cases outshines even the biggest names in film and TV. Here, Tyler speaks on his latest project: Chosen Family, and why queer people need to become aware of their privilege. We’re also partnering with UKBP to raise awareness about the incredible work they do, and the importance of events and organisations such as theirs. We’re constantly learning how to be better allies to everyone across the far reaches of the colourful spectrum that is the queer community, and UKBP as a collective continue to educate and inform us how best to step up to the plate as a truly representative and inclusive company. Lady Phyll and the entire team at UK Black Pride are demonstrating the power of loud, unapologetic unity in the face of hatred and bigotry - often unfortunately from sectors of the LGBTQ initialism. Elsewhere in the issue: Sadiq Khan pens a letter to the LGBTQ people of London; Manevendra Singh Gohil, the first gay Prince of India, on using his platform to raise awareness on LGBTQ issues; Yves on standing shoulder to shoulder with our trans siblings; an exclusive look at the new exhibition Queer Friends; Aaron Altaras on his new role as a footballer coming to grips with his sexuality; Simon Gage reflects upon meeting Alexander McQueen ahead of the release of the upcoming documentary on the fashion icon; plus products, style, fashion, tech, travel, opinion and much more. A NOTE FROM THE EDITOR. HAS PRIDE LOST ITS MEANING? THIS TINY THING MAKING ME DIFFERENT. THE HOTEL THE FONTENAY, HAMBURG.